The Final Season’s Penultimate Episode Available for Download Globally on Nintendo Switch, PS4, Xbox One and PC in the Epic Games Store. The third episode of TELLTALE’S THE WALKING DEAD: THE FINAL SEASON, titled BROKEN TOYS, is now available for purchase on PC in the Epic Games Store, as well as for Nintendo Switch, PS4, and Xbox One. After years on the road facing threats both living and dead, a secluded school might finally be Clementine’s chance for a home in THE WALKING DEAD: THE FINAL SEASON. But protecting it will mean sacrifice. Clem must build a life and become a leader while still watching over AJ, an orphaned boy and the closest thing to family she has left. In EPISODE THREE: BROKEN TOYS, Clementine is going to war. With the help of a strange new ally, she makes a final stand against a ghost from her past to save her kidnapped friends. All the while, AJ is watching her every move. BROKEN TOYS brings fans of TELLTALE’S THE WALKING DEAD one step closer to the gripping and emotional end to Clementine’s story. Skybound Games, a division of Skybound Entertainment and the original creators of The Walking Dead comics, picked up development of TELLTALE’S THE WALKING DEAD after the closure of Telltale in late 2018. In order to finish the remaining two unreleased episodes for fans, original members of the development team, formerly of Telltale and now known as the #stillnotbitten team, joined forces with Skybound Games. BROKEN TOYS is the first episode to be released by this new team, under the Skybound Games banner. 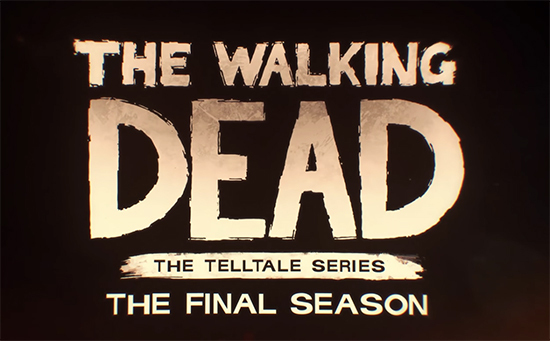 The concluding fourth episode of TELLTALE’S THE WALKING DEAD: THE FINAL SEASON releases on March 26, 2019.